In the main event of UFC 217, Georges St. Pierre looks to take the middleweight title from Michael Bisping on Saturday, Nov. 4, 2017 at Madison Square Garden. Rose Namajunas celebrates her first-round knockout for the upset win over Joanna Jedrzejczyk to win the strawweight title at UFC 217 at Madison Square Garden on Nov. 4, 2017. Rose Namajunas, right, and Joanna Jedrzejczyk meet for instructions from referee John McCarthy before the start of their strawweight title fight at UFC 217 at Madison Square Garden on Nov. 4, 2017. 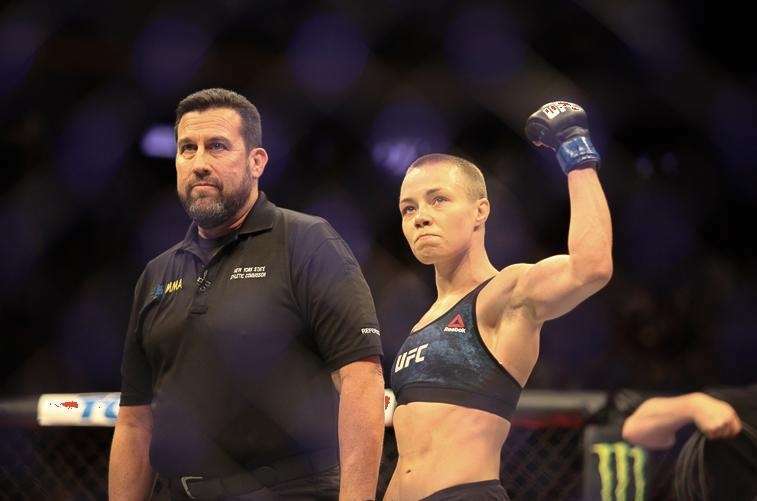 Namajunas took the title with a first-round knockout for the upset win. Rose Namajunas (blue shorts) and Joanna Jedrzejczyk exchange punches in their strawweight title fight at UFC 217 at Madison Square Garden on Nov. 4, 2017. Namajunas won the title in an upset first-round knockout. 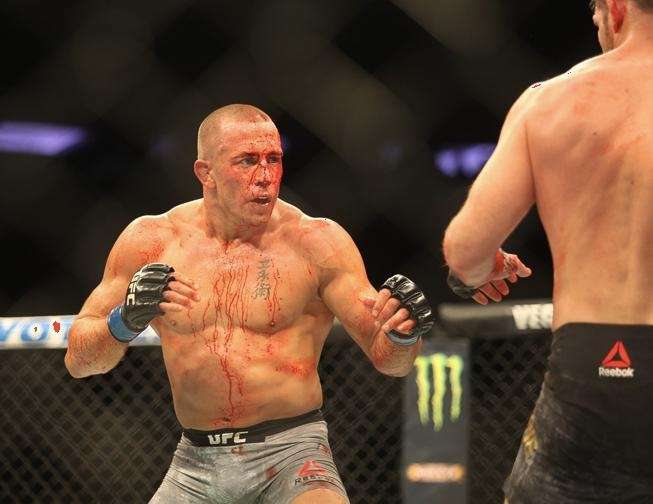 Georges St-Pierre beat Michael Bisping via third-round submission for the middleweight title at UFC 217 at Madison Square Garden on Nov. 4, 2017. 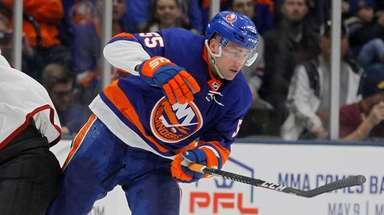 Georges St-Pierre defeated Michael Bisping to win the middleweight title at UFC 217 at Madison Square Garden on Nov. 4, 2017. 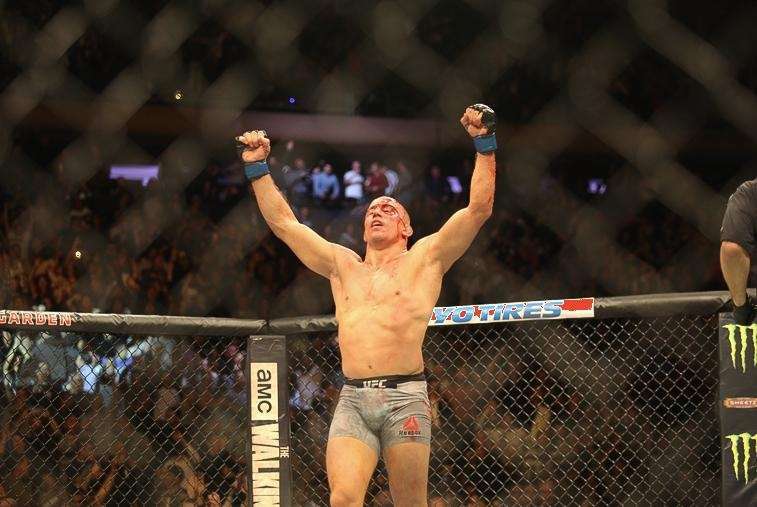 Georges St-Pierre celebrates beating Michael Bisping via third-round submission for the middleweight title at UFC 217 at Madison Square Garden on Nov. 4, 2017. 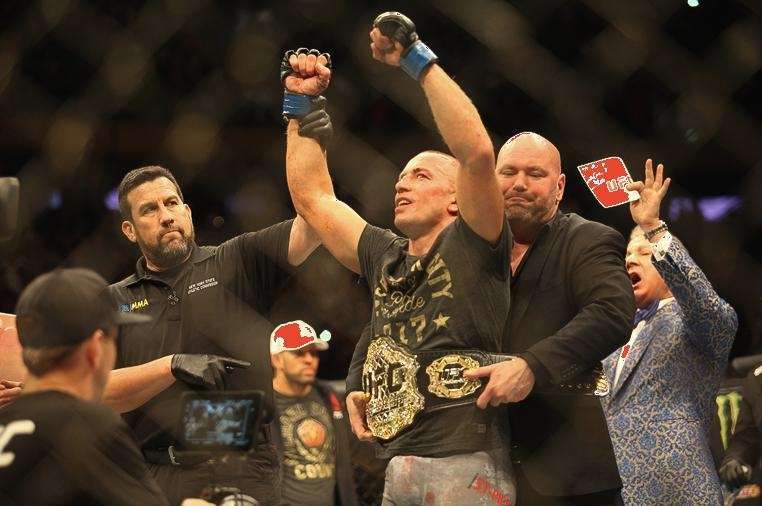 UFC president Dana White puts the middleweight title belt around Georges St-Pierre after he won it from Michael Bisping at UFC 217 at Madison Square Garden on Nov. 4, 2017. 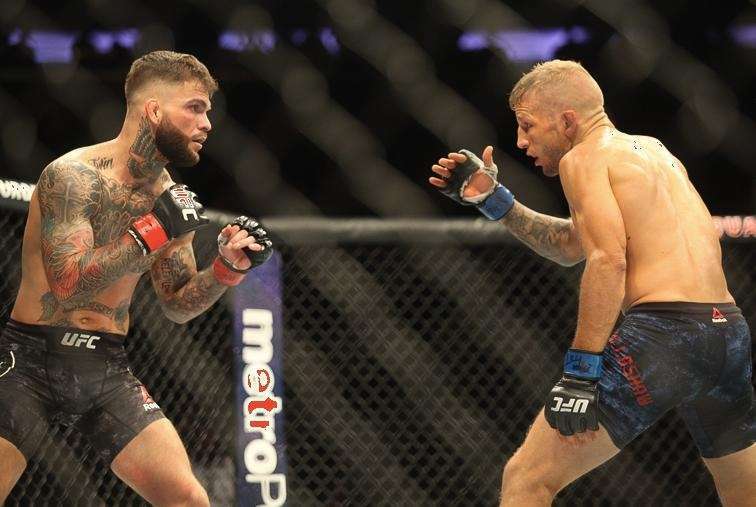 Cody Garbrandt, left, and TJ Dillashaw fight for the bantamweight title at UFC 217 at Madison Square Garden on Nov. 4, 2017. 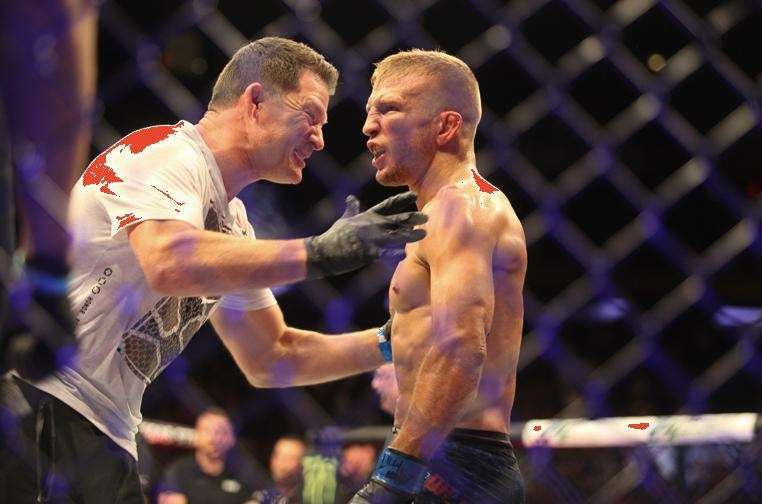 Dillashaw became the new champion with a second-round TKO of Garbrandt. 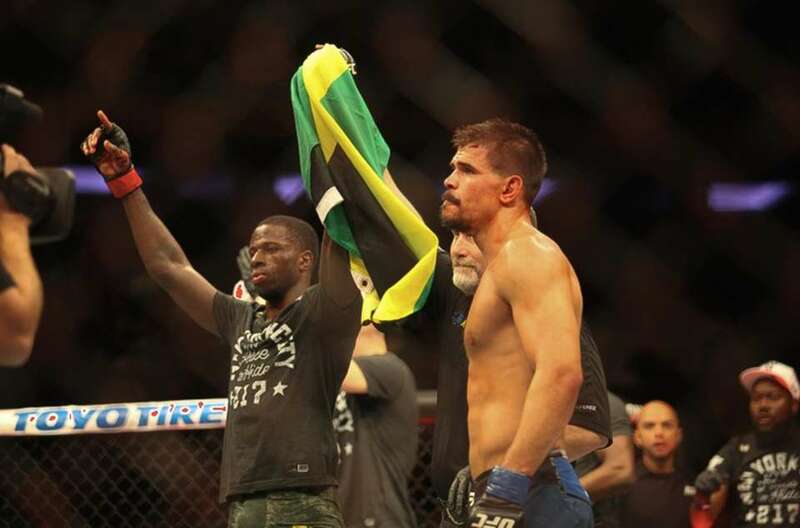 TJ Dillashaw celebrates winning the bantamweight title from rival and former teammate Cody Garbrandt at UFC 217 at Madison Square Garden on Nov. 4, 2017. 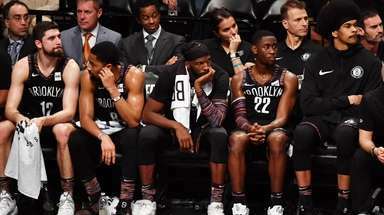 Rose Namajunas won the strawweight title at UFC 217 with a first-round knockout of Joanna Jedrzejczyk at Madison Square Garden on Nov. 4, 2017. 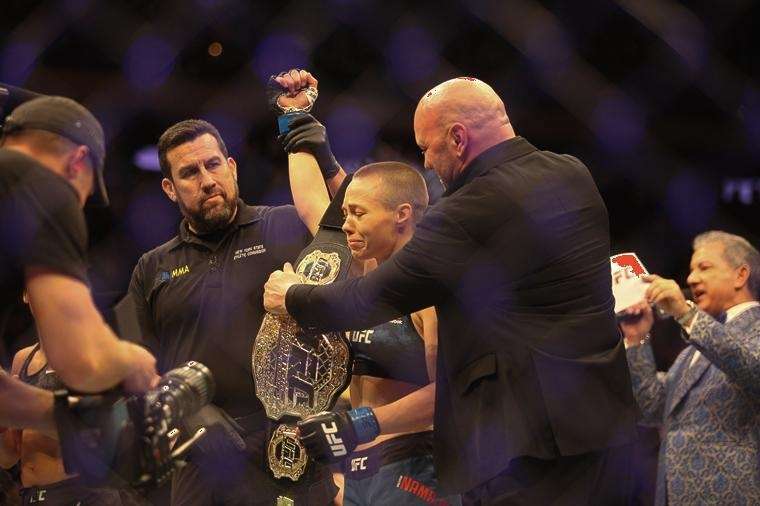 Rose Namajunas gets emotional as Dana White presents her the strawweight title after her upset first-round knockout of Joanna Jedrzejczyk at UFC 217 at Madison Square Garden on Nov. 4, 2017. 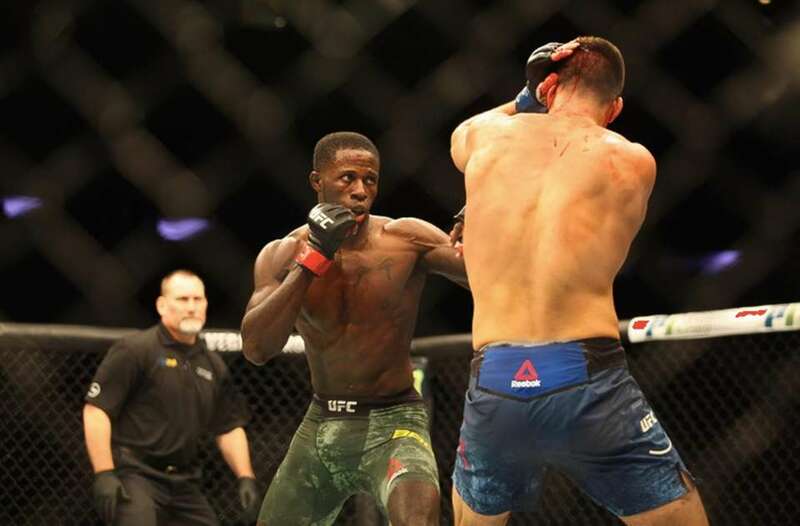 Randy Brown (right) defeats Mickey Gall by unanimous decision in a welterweight bout at UFC 217 at Madison Square Garden on Saturday, Nov. 4, 2017. 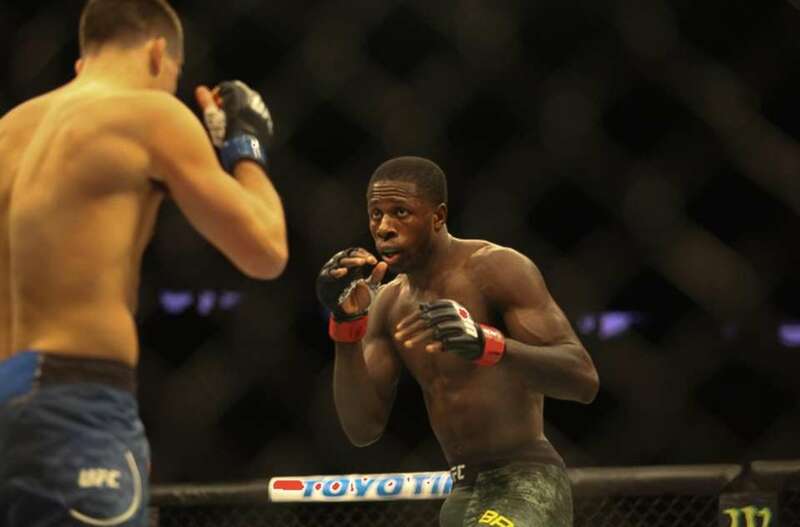 Randy Brown (left) defeats Mickey Gall by unanimous decision in a welterweight bout at UFC 217 at Madison Square Garden on Saturday, Nov. 4, 2017. 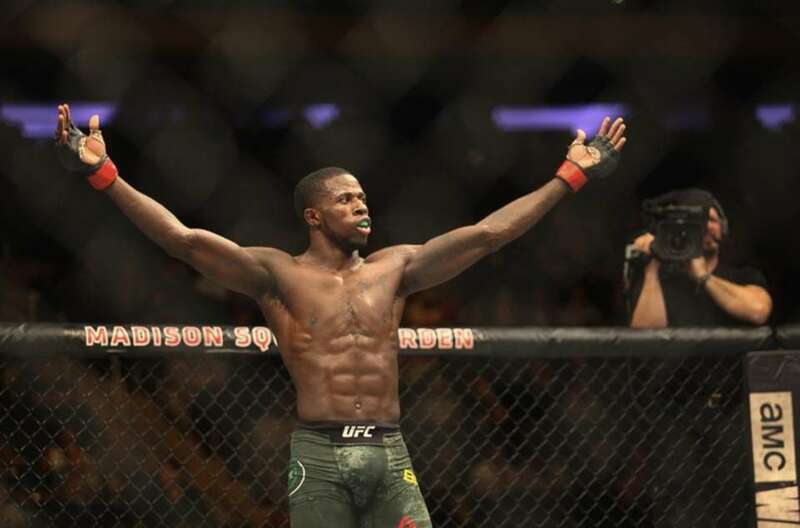 Randy Brown defeats Mickey Gall (not shown) by unanimous decision in a welterweight bout at UFC 217 at Madison Square Garden on Saturday, Nov. 4, 2017. 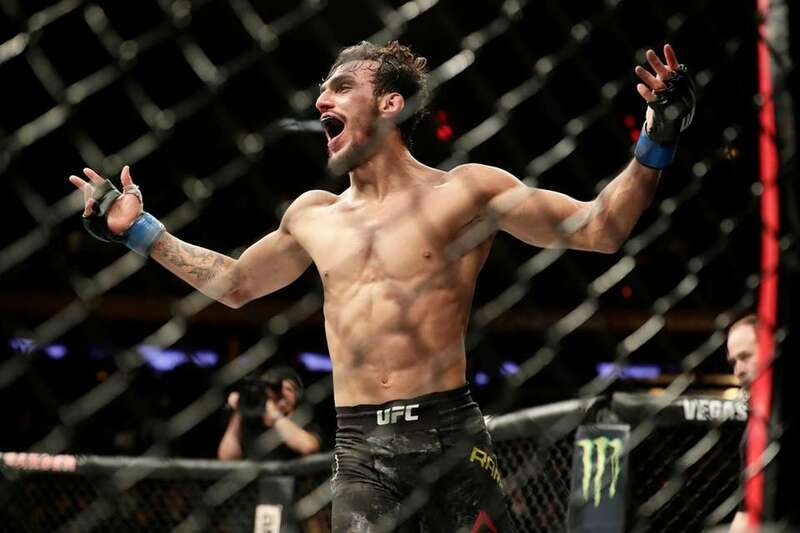 Ricardo Ramos, of Brazil, celebrates after knocking out Aiemann Zahabi, of Canada, to win a bantamweight mixed martial arts bout at UFC 217 Saturday, Nov. 4, 2017, in New York. 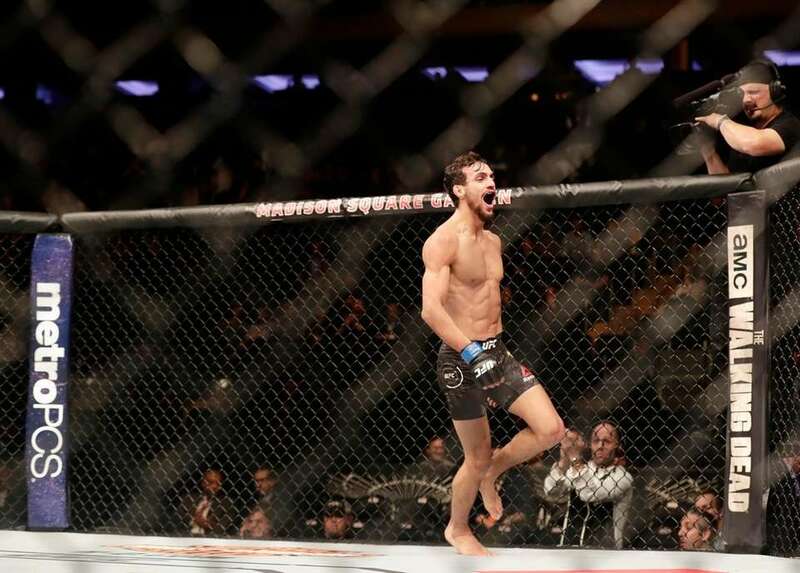 Ricardo Ramos, of Brazil, celebrates after knocking out Aiemann Zahabi, of Canada, to win a bantamweight mixed martial arts bout at UFC 217 on Saturday, Nov. 4, 2017, in New York. Curtis Blaydes, left, fights Aleksei Oleinik during a heavyweight mixed martial arts bout at UFC 217, Saturday, Nov. 4, 2017, in New York. Blaydes won the fight. 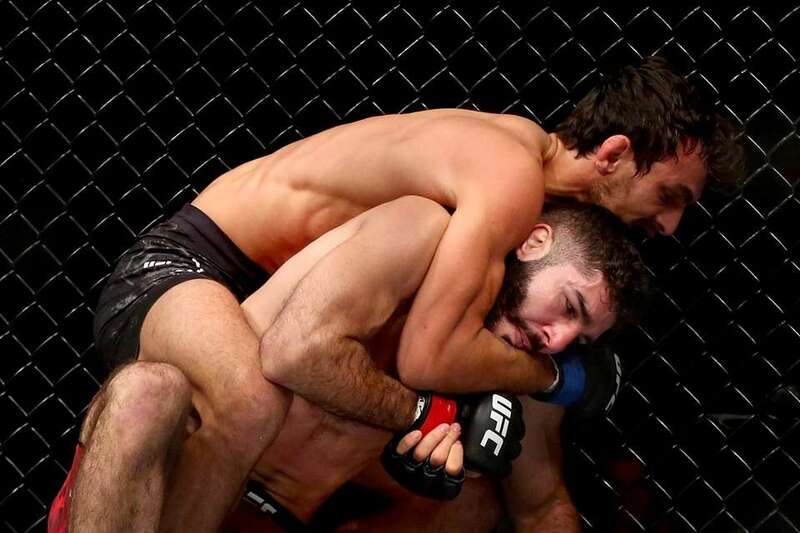 Ricardo Ramos of Brazil headlocks Aiemann Zahabi of Canada in their bantamweight bout during the UFC 217 event at Madison Square Garden on Nov. 4, 2017. 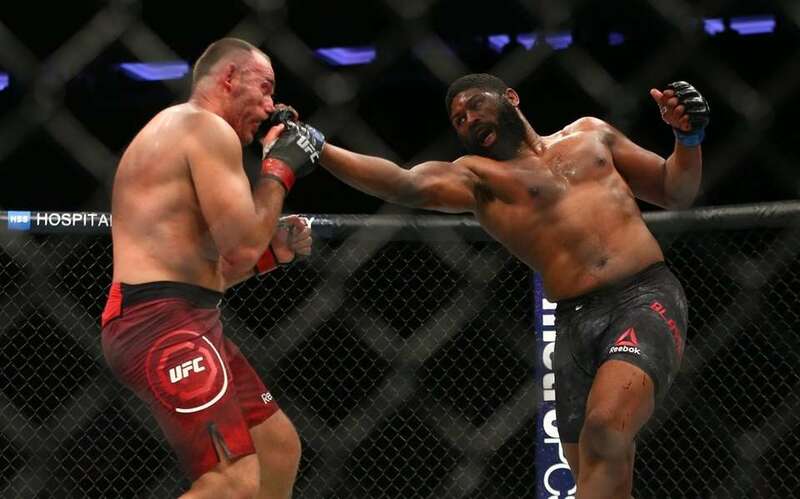 Curtis Blaydes lands a punch against Aleksei Oleinik of Russia in their heavyweight bout during the UFC 217 event at Madison Square Garden on Nov. 4, 2017. 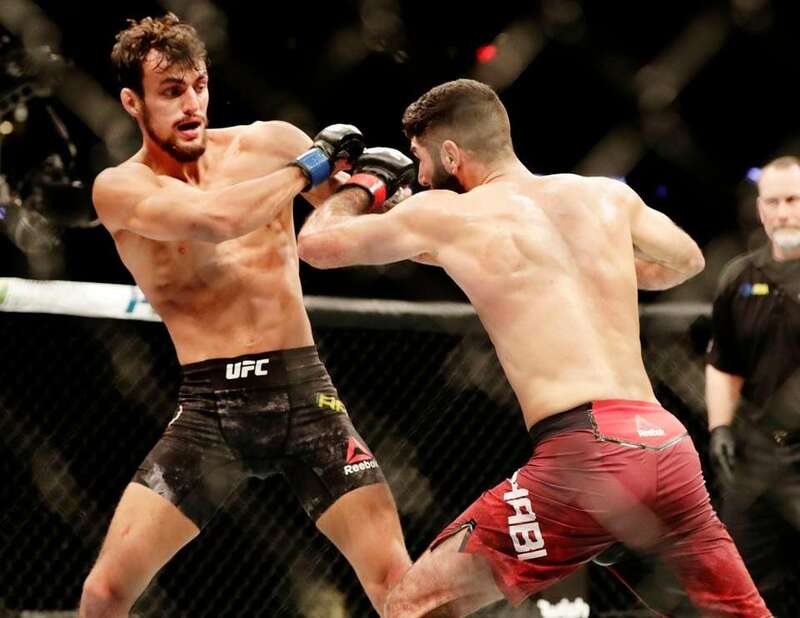 Ricardo Ramos, left, of Brazil, fights Aiemann Zahabi, of Canada, during a bantamweight mixed martial arts bout at UFC 217, Saturday, Nov. 4, 2017, in New York. 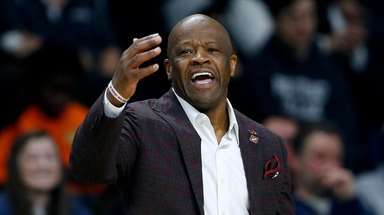 Ramos won the fight. 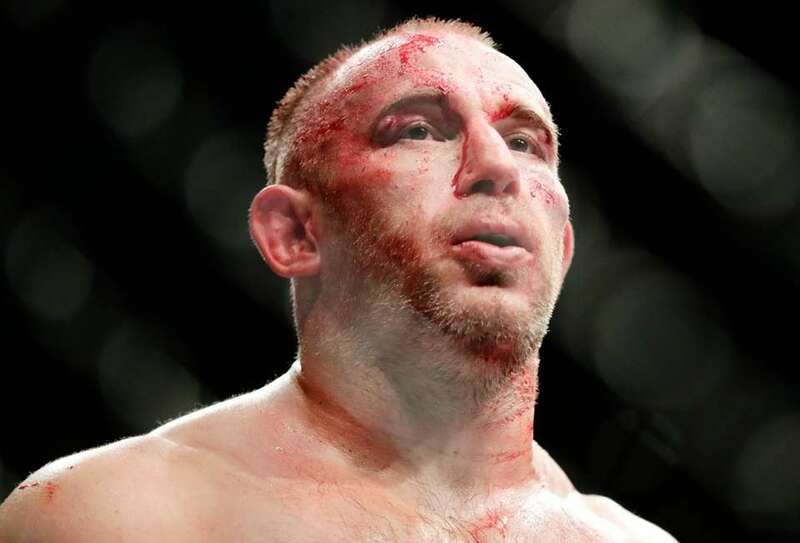 Aleksei Oleinik, of Russia, reacts during a heavyweight mixed martial arts bout against Curtis Blaydes at UFC 217, Saturday, Nov. 4, 2017, in New York. Blaydes won the fight. 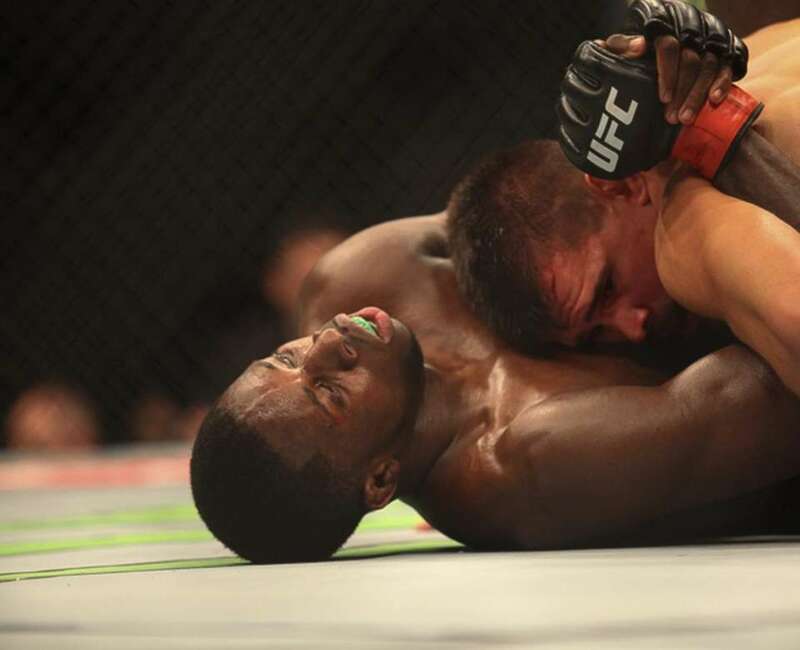 Curtis Blaydes slams Aleksei Oleinik of Russia in their heavyweight bout during the UFC 217 event at Madison Square Garden on Nov. 4, 2017. 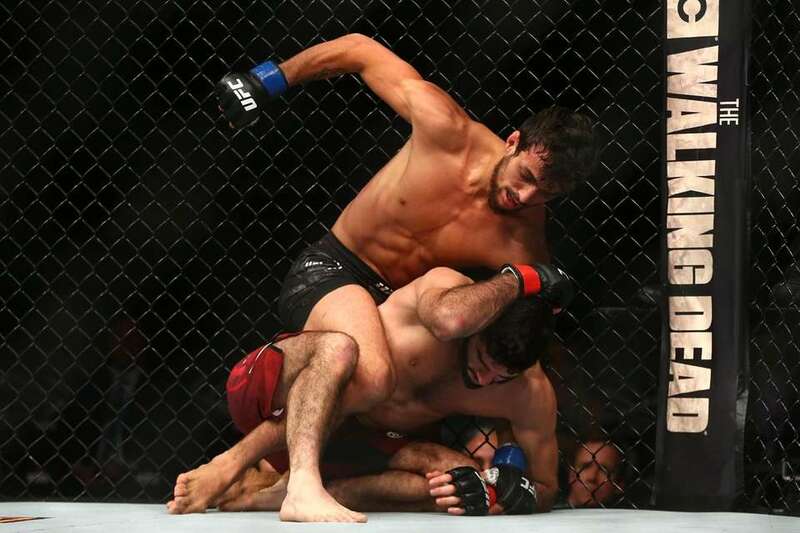 Ricardo Ramos of Brazil throws a punch on top of Aiemann Zahabi of Canada in their bantamweight bout during the UFC 217 event at Madison Square Garden on Nov. 4, 2017.